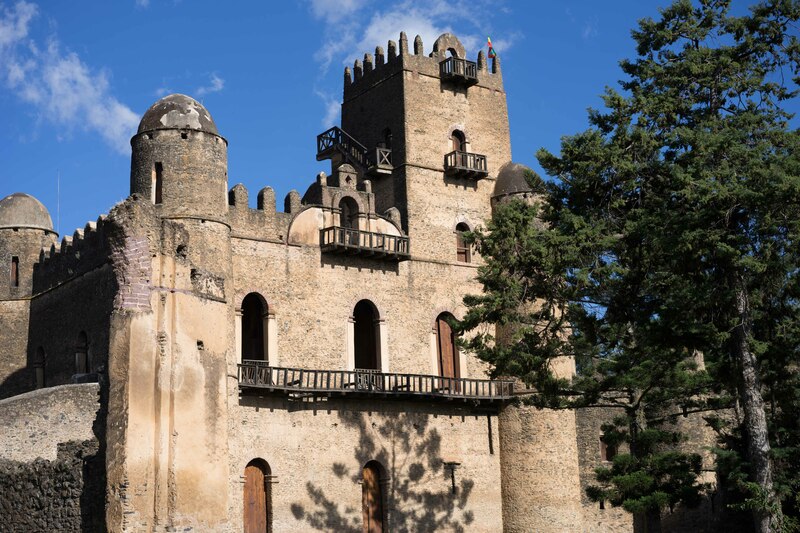 Founded by Emperor Fasilides in the 17th century, Gondar has been called the Camelot of Africa because of its castles and fortress-like battlements. The very presence of these castles in Africa make them a rare and imposing sight. Rich in history, ambassadors of the Moguls of the Ottoman Empire and of Louis XVI of France were once entertained here. Gondar was the imperial capital from the 17th to mid-19th centuries, and today visitors can see the imperial compound, with castles still in good condition (some recently restored by UNESCO after bombings in World War II), and also the bath of King Fasilides, where at Timkat (Ethiopian Epiphany) a nearby river’s course is purposely changed to bring its flow in to fill an area the size of a small swimming pool. This is the sight of a traditional re-enactment of the baptism of Christ, where worshippers plunge into the pool every January 19th. 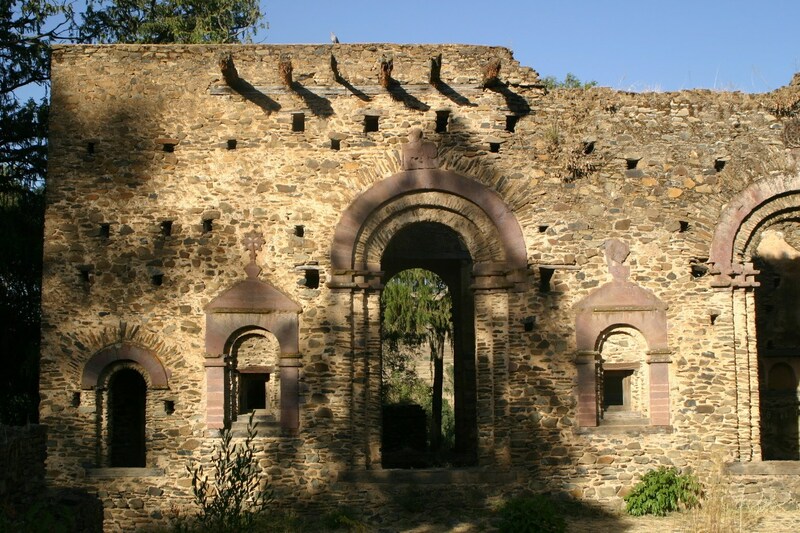 Although many of Gondar’s churches were destroyed during the Mahdist invasion from Sudan in the 1880s, one very fine example, Debre Berhan Selassie, was saved, according to the legend, by a swarm of bees, which routed the invaders. The walls and ceiling are completely covered with murals. 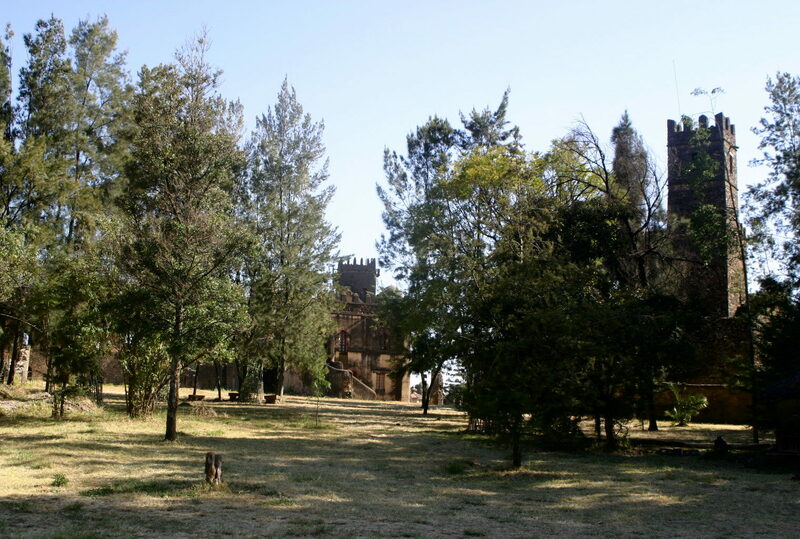 Also worth a visit are the ruined palace of Queen Mentowab, and the church of Qusquam. 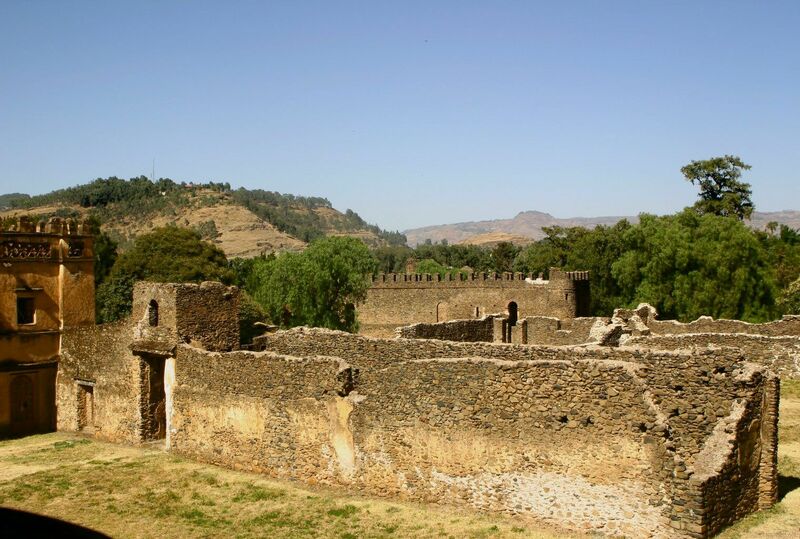 Additionally, the town is home to Gondar University, Ethiopia’s oldest medical school. 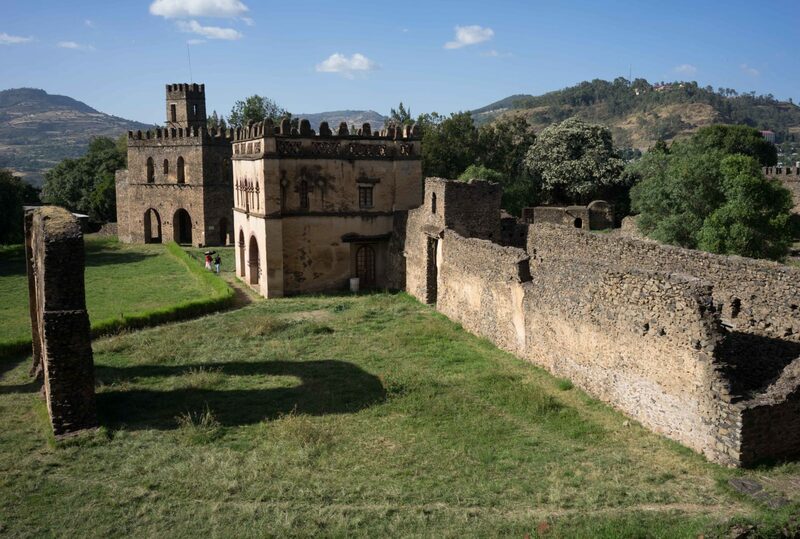 Gondar proves to be a good launch pad for a trip to the Simien Mountains and works well as a follow on from Bahir Dar – as well as a precursor to the further north. 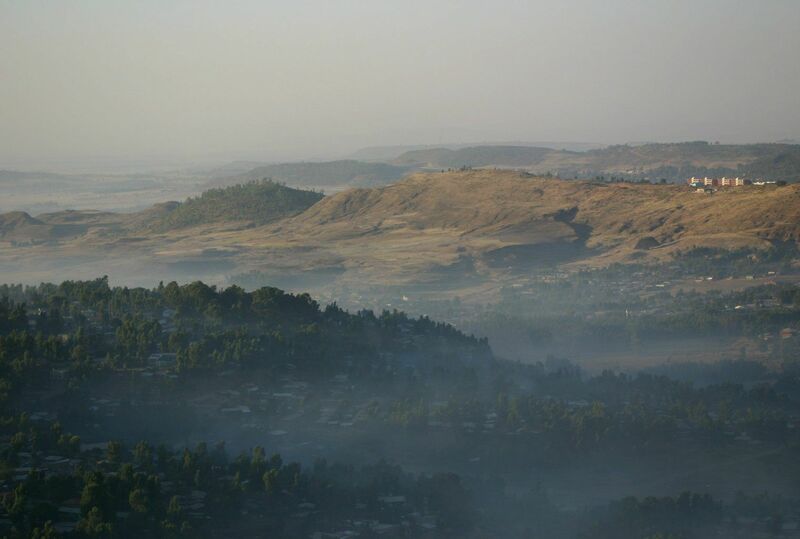 The northern historical circuit constitutes a 3000 km round trip, beginning in Addis Ababa and moving clockwise through Debre Markos, Bahir Dar, Gondar and Axum – its western flank – and peaking in Adigrat, before moving south again, through Mekele, Lalibela, Woldia and Kombolcha, and finishing back in Addis. 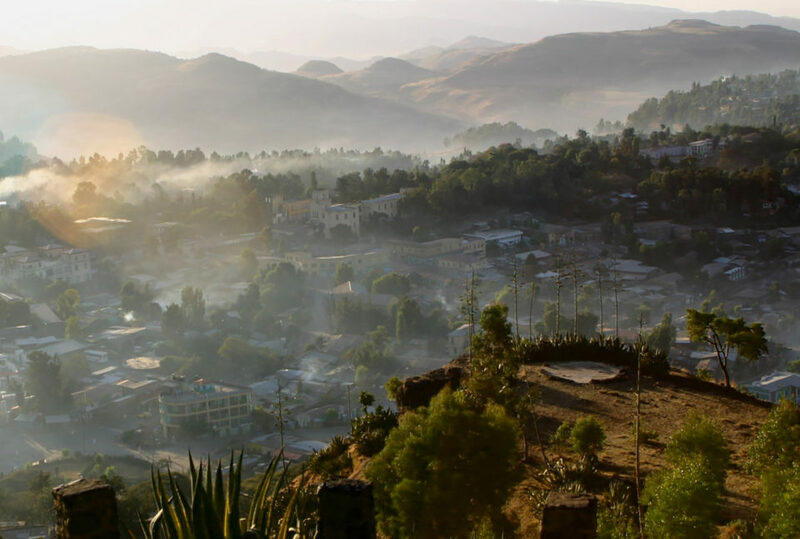 There are plenty of places in between and off track, including – for example -the Simien Mountains, the Blue Nile Falls, Lake Tana and the Mesket area. While most of these are served by either tarmac or good dirt roads, a few areas of interest are accessed only by dirt tracks and paths, requiring that travellers use 4 x 4 vehicles, mules or – in some cases – foot. 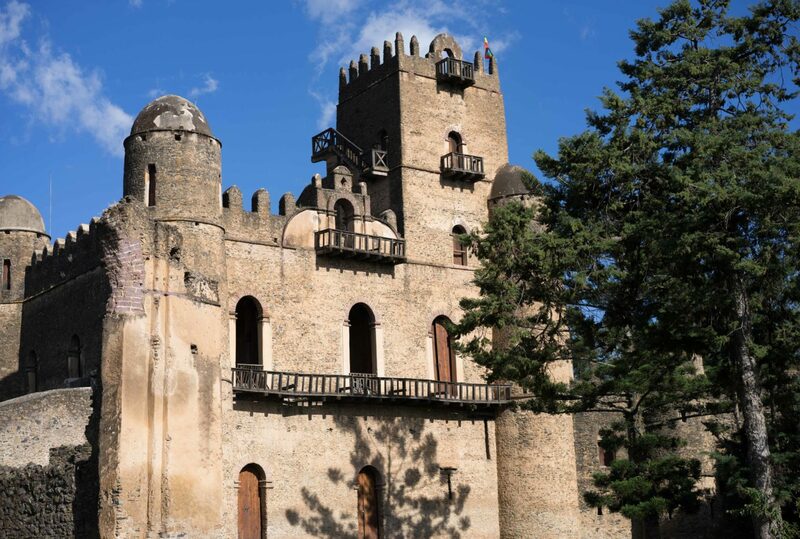 To find out more about Travel To Gondar and to arrange your tailor-made trip, get in touch with us today.